For my final class, programming for artists, I made a series of p5.js sketches that project different optical experiences onto the left and right eye. As my classmates noted, these are probably best viewed on a cellphone as it makes it easier to hold the screen directly up to the eye. I am trying to find free webhosting to display the entire project, which consists of 10 sketches and a custom designed html/css website. Here are a few images to give an idea. In the sketch with the red and green squares, viewers put their eyes to the screen and stare into the squares. 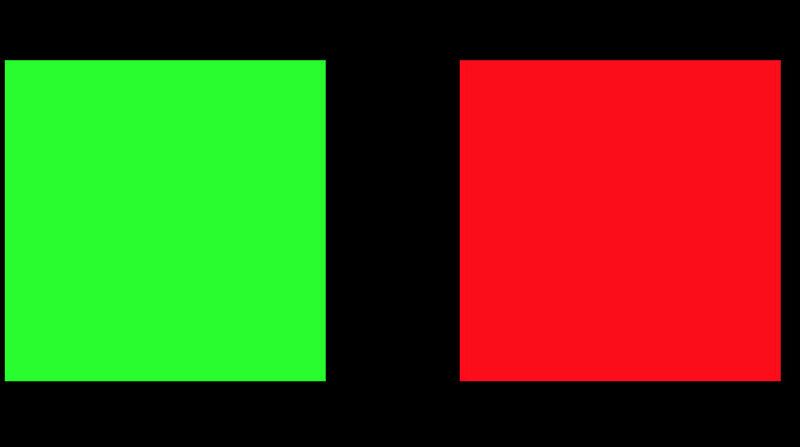 After thirty seconds, the squares change to white and the viewer experiences a different after image effect on each eye, the green now seeing red and the red now seeing green. This is the first time I've taken the after image effect in a unique direction.